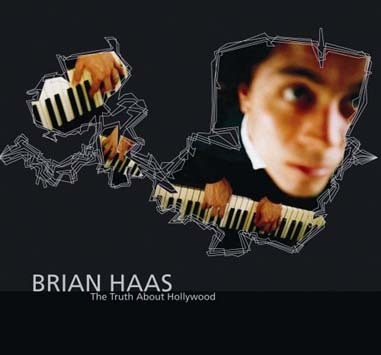 The Truth About Hollywood is the debut album from pianist Brian Haas, but jazz and improvisational music fans are no strangers to his masterful piano work. As one of the founding members of the Jacob Fred Jazz Odyssey, Haas is revered for his dynamic chops, abstract improvisations and visceral piano stylings—having recently received rave reviews from the likes of Downbeat, Keyboard Magazine and Signal To Noise, while continuing to perform over 150 dates a year with his original band. On The Truth About Hollywood, Haas goes it alone. It’s just he and the 88 keys of the grand piano at the legendary Hollywood recording studio, Radio Recorders. Haas delves into a program that includes four Monk compositions, a handful of originals and the classic standard, “Alone Together.” It’s a record of elegance and grace that is by all accounts a jazz piano masterwork worthy of the greats into whose sphere Haas is so quickly ascending. "The ghosts and energies of Louis Armstrong, King Oliver, Earl Hines, Dexter Gordon, Lester Young, Miles Davis, Charlie Parker, Billie Holiday, Ella Fitzgerald, Orsen Wells and Axl Rose guided me on the 3 day journey that became 'The Truth About Hollwood.'" - Brian Haas.